Netwerk: Electric's jazz fusion and space funk style has been greeted by eager fans across the west coast. Increasingly hard to classify and constantly evolving, Netwerk: Electric continues to forge ahead with their unique sounds of tripped-out funk blending with jazz and jungle, hip hop and bebop, gospel and groove, even samba and soul. 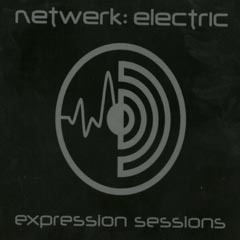 With the release of their second studio effort expression sessions, netwerk: electric continues to develop their sound. With some help on the album from Jazz- sax wonder Karl Denson, this is an album that is sure to catch the ear of both the jazz fan, and the jam-fan at the same time.